Dr. Melissa Fischer Novetsky felt inspired to join the field of dentistry after learning about the practice from her father, Dr. Fred F. Fischer D.D.S. She admired his community based approach. And she wanted to carry the family dentistry tradition forward. She takes great pride in caring for the dental health of her neighbors and community. 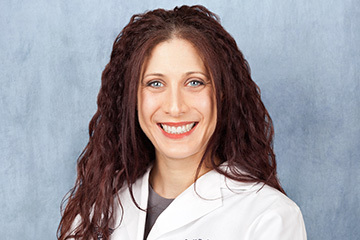 Dr. Fischer Novetsky earned her bachelor’s degree from Michigan State University. Then she earned her Doctor of Dental Surgery from University of Detroit Mercy. This was an easy choice, as it was the university her father went to. She graduated with honors. She has since completed postgraduate training in many areas. One area of focus is general dentistry, including the painless air abrasion technique. She’s also specialized in orthodontics, and cosmetic dentistry. 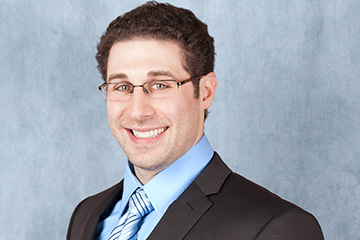 Dr. Fischer Novetsky was also named Top Dentist by Hour Detroit Magazine. It’s clear to her patients that she truly cares about their dental health. She takes joy in relieving pain, and helping people feel more confident. And she’s always learning to make sure our methods are current. With her help, we’ve stayed on the cutting edge of dental technology. And her commitment to comfortable treatment has brought us many loyal patients. In her free time, Dr. Fischer Novetsky loves to spend time with her husband and daughters. As an alumni of Michigan State, she’s also a Spartan fan. If you have any questions or would like to set up an appointment with Fischer Family Dentistry, please call us at (734) 422-4350. You can also read more about our other doctors - Dr. Fred F. Fischer, D.D.S. and Daniel C. Fischer, D.D.S. Dr. Fred F. Fischer has been practicing dentistry for almost 40 years. He’s honored that two of his children followed in his footsteps. 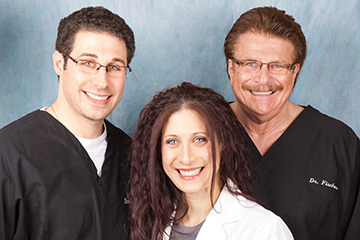 Together they’ve made Fischer Family Dentistry into a trusted dental institution. His approach to dentistry focuses on quality care, and patient comfort. Fischer Family Dentistry is a product of Dr. Fischer’s legacy. He was inspired to practice dentistry in order to serve his community. His commitment to quality care inspired a new generation of dentists. Dr. Fischer has always been ahead of the curve. He continues to learn new methods and techniques. And he’s thrilled to pass his knowledge on to his children. He’s created a family dentistry practice in every sense. He has earned a Lifetime Achievement recognition from the Michigan Dental Association and American Dental Association. Dr. Fischer earned a bachelor’s degree from Wayne State University. He went on to earn his Doctor of Dental Surgery from University of Detroit Mercy. He continues to pursue postgraduate studies to this day. Through this he has gained a wealth of advanced dental knowledge. In addition, he instructs postgraduate classes. His teachings focus on dental care for families. He regularly teaches classes on facial pain management, and cosmetic veneers. He’s also instructed on the air abrasion method for drill-less cavity filling. Dr. Fischer loves to spend time with his large family, including his wife, children, and grandchildren. He hopes to see future generations of the Fischer continue the family legacy of Dentistry. If you have any questions or would like to set up an appointment with Fischer Family Dentistry, please call us at (734) 422-4350. You can also read more about our other doctors - Dr. Melissa Fischer Novetsky and Daniel C. Fischer, D.D.S.